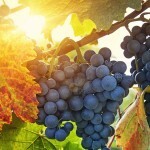 About: Fly directly to Wine Country! The Sonoma County Airport – Charles M. Schulz (STS) may be small, but it’s the closest airport to Napa Valley and is serviced by top carriers as Alaska Airlines, American, Sun Country, and soon United (in early 2019). As an added bonus, passengers flying from Sonoma County Airport are permitted to check up to a case of wine for no additional charge! Airlines: Alaska Airlines: Non-stop flights to/from Los Angeles, Portland, Los Angeles, and San Diego. American Airlines: Non-stop flights to/from Phoenix. Sun Country: Seasonal non-stop flights to/from Los Angeles and Minneapolis. United Airlines: Non-stop flights to/from San Francisco and Denver (in early 2019). Food: Skylounge Steakhouse & Sushi Bar is the airport’s only onsite restaurant. In addition to steaks and sushi, Skylounge offers breakfast in the morning and a full bar for afternoon or evening cocktails. Hours: 8:00 a.m. – 9:00 a.m. Car rental agencies: Avis, Budget, Enterprise, Hertz, National, and Sixt (off-site). Other transportation to Napa: Napa Airporter and Evans Transportation both service Sonoma County Airport. 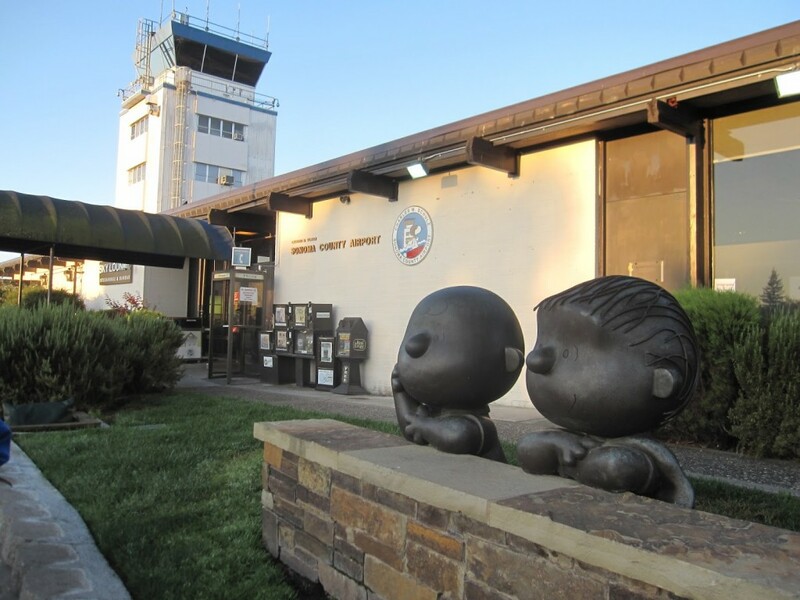 Insider Tip: Check out the larger-than-life full color Peanuts character statues located around the airport, an homage to Charles Shulz, the famous cartoonist who spent thirty years of his life in the area. Kids will love sitting outside at the restaurant watching the planes land. About: San Francisco International airport is the bustling nerve center of domestic and international travel for the northern west coast. The airport is open 24 hours per day, with direct flights to and from many corners of the world. 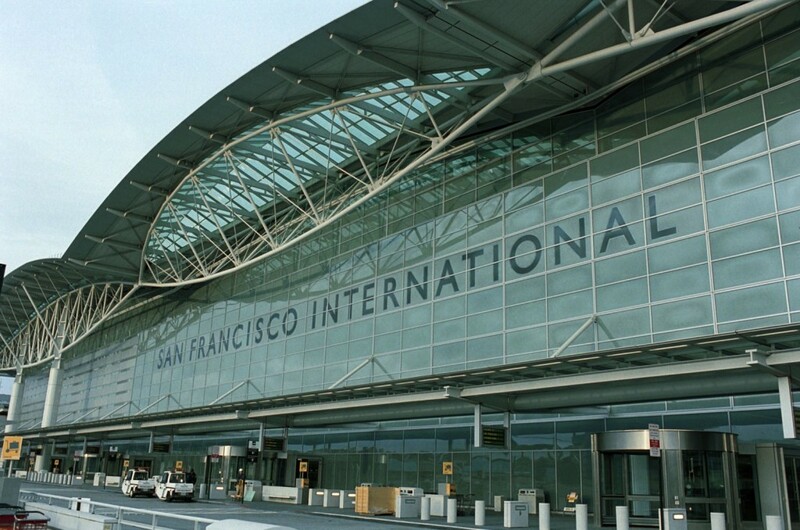 Airlines: SFO services close to 50 airlines, including many international. SFO is a hub for United Airlines and United Express, with direct flights from places like Newark, Dallas/Ft. Worth, Las Vegas, Atlanta, NY (JFK), Chicago (O’Hare), and Seattle (Sea-Tac). Food: The airport houses 65 restaurants and eateries, many open as late as 10:30 p.m. or midnight. Start your wine tasting early at wine bar Vino Volo, located at Terminal 2 Boarding Area D, outside the security checkpoint. Car rental agencies: Alamo, Avis, Budget, Dollar, Enterprise, National, and Thrifty are located on the fourth floor of the SFO Rental Car Center. Hertz and Fox are located on the first floor of the Rental Car Center. Additional car rental agencies are available offsite. Other transportation to Napa: If you choose not to rent a car, take one of the nine daily Airporter shuttles to/from SFO offered by Evans Transportation. No reservations are required for the 2-hour ride to Napa Valley. Cost: $29 one-way, $20 for children 12 and under. Airporter fares must be paid via cash only. Insider tip: Forgot your souvenir from Napa? Swing by Napa Farms Market in Terminal 2 before your flight and pick up your favorite Napa wine or olive oil. About: Although a busy international travel hub, Oakland International Airport is slightly smaller (and therefore less crowded) than its cousin across the bay, SFO. Airlines: Most major airlines, including direct flights on Alaska Airlines, Allegiant, Delta, Hawaiian Airlines, JetBlue, Norwegian, Southwest, Spirit, US Airways, and Volaris. Food: Enjoy a meal or a snack at one of the Oakland Airport restaurants, coffee shops, or fast food counters. Both terminals feature a Starbucks and Training Grounds (specialty coffee, pastries, sandwiches), while Terminal 1 has an 8 Bar for cocktails and Southwest’s Terminal 2 has two food courts for fast food and snacks. Busiest times: Monday – Friday 6:00am – 8:00 a.m., 3:00 p.m. – 7:00 p.m., Saturday 7:00 a.m. – 9:00 a.m. and 12:00 p.m. – 7:00 p.m., and Sunday 9:00 a.m. – 7:00 p.m. Car rental agencies: Alamo, Avis, Budget, Dollar, Enterprise, Firefly, Fox, Hertz, National Car Rental, and Thrifty. Other transportation to Napa: Evans Transportation also offers six daily Airporter shuttles from Oakland International Airport to/from Napa. One-way fare is $29 for adults (cash only) and no reservations are required. Check the list of airport pick-up times before you travel. 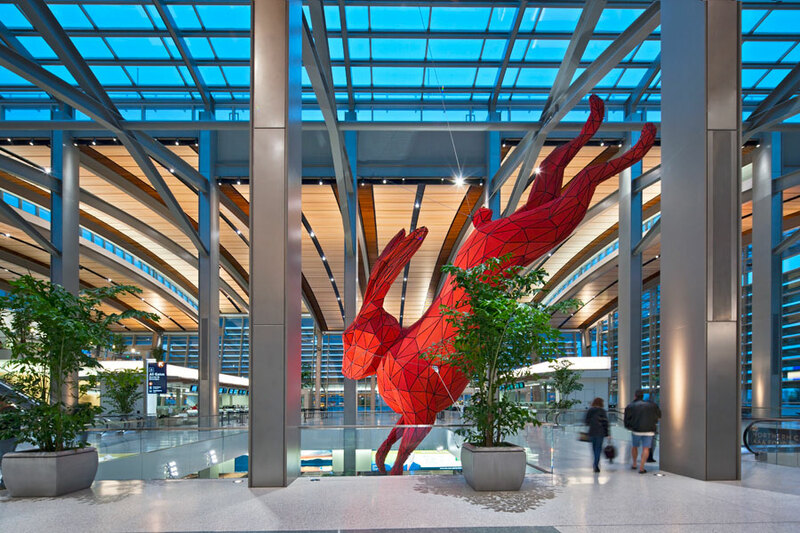 Insider tip: Check out the rotating art exhibits and the view of San Francisco Bay in the walkway between Terminal 1 and Terminal 2. About: Sacramento International Airport is significantly smaller than Oakland or SFO, making it much easier to navigate. 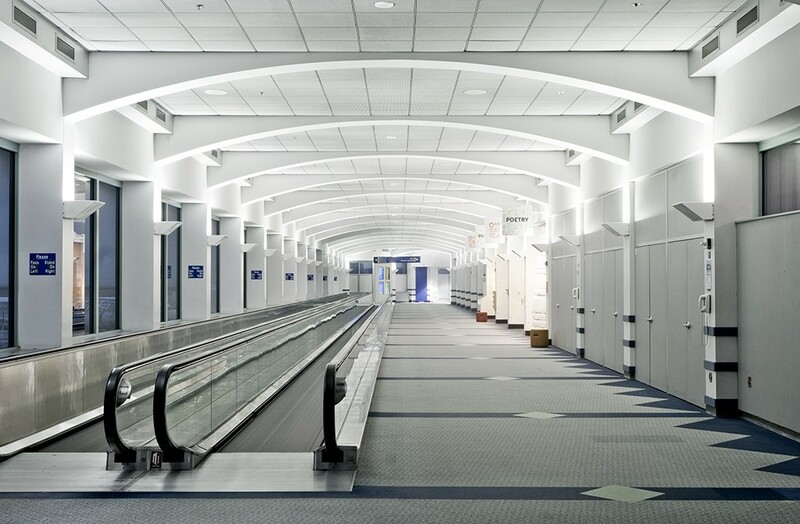 This beautiful airport’s recently redesigned terminal includes an elevated people mover and concourse. Airlines: American, Delta, JetBlue, United, USAirways, Aeromexico, Alaska Airlines, Hawaiian Airlines, Horizon, Seaport Airlines, Southwest, Volaris. Non-stop flights from 30 cities (some seasonal) including Atlanta, Chicago, Maui, Minneapolis, Washington DC, Philadelphia, Salt Lake City, and Denver. Busiest times: Weekdays 4:30 a.m. – 7:00 a.m. and 8:00 a.m. – 12:00 p.m.
Food: Sacramento Airport has a plethora of fresh food options, with most restaurants open until 8:00 p.m. or 9:00 p.m. For a late-night burger, head to Sac Sports Bar in Terminal A (open until 11:00 p.m.) or Burgers and Brew in Terminal B (open until 12:00am). Rental cars: Advantage, Alamo, Avis, Budget, Enterprise, Hertz, and National. The car rental shuttle offers pick-up approximately every ten minutes to transport visitors to the on-airport rental car terminal. Additional car rental companies are available off site. Other transportation to Napa: Napa Airporter offers door-to-door shared airport shuttle service every day with prices ranging between $75 and $130 for the first passenger, depending on your Napa Valley destination. A $10 additional fee applies to each extra person in your party. For an added $20 flat rate, the shuttle offers non-stop exclusive (non-shared) service for your party only. Same-day or late night (8 p.m. – 4 a.m.) reservations require an additional charge. Napa Airporter also offers town car service (1 – 4 people) for $135 – $175, depending on your Napa Valley location. Reservations are required for all services and a full list of rates can be found on the Napa Airporter website. Insider tip: Wander through the exhibits in the extensive public art collection that grace many of the airport’s open spaces. About: Napa County Airport, “The Skyport to Wine Country” is a very small local landing strip that services charter flights and private aircraft only. Fly directly to Napa on your own chartered plane or, if you’re a licensed pilot, fly yourself directly to the heart of the valley. The tremendous benefits of flying private are reflected in the costs; prices range from $9k – $25k+. 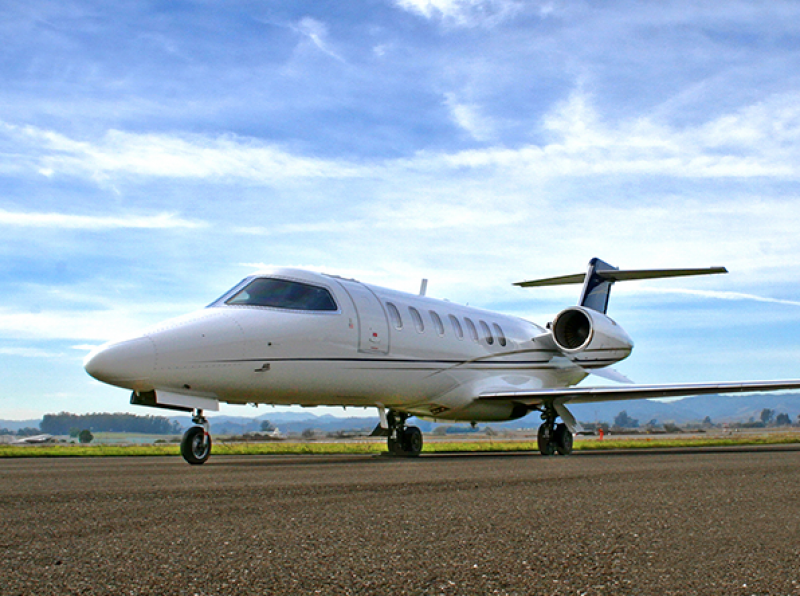 To charter your own plane to or from Napa, contact Napa Jet Center. Food: The Runway by Patrick is the airport’s only restaurant. Enjoy modern yet classic American comfort food while surveying the activity of an active airport runway. Stop by on Wednesdays for “Wine Down Wednesdays”; wine and champagne by the bottle are half off. Hours: Tuesday through Saturday, 11:00 a.m. – 9:00 p.m., Sunday 11:00 a.m. – 7:00 p.m., closed Mondays. Busiest time: Since this airport is for private aircraft, there is virtually no waiting time before flights. The flight control tower is open daily from 7:00 a.m. – 8:00 p.m. Pacific and airport operations staff are available from 8:00 a.m. – 5:00 p.m. daily. Other transportation to Napa: Pure Luxury transportation offers private chauffeured service in a sedan, SUV, limo, passenger van, or luxury shuttle bus. For rates and reservations, visit the website or call (800) 626- LIMO. Insider tip: If you have your own plane, you can house it at the airport. All hangars are currently full, but a waiting list is available. 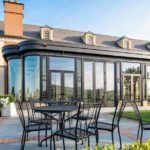 No matter which of the airports near Napa Valley you fly into, be sure to book your hotel before your arrival in wine country, as hotels fill up quickly during the summertime. Happy travels!